Star Trek is one of the most enduring cultural phenomena to come out of the United States in the 20th Century, and certainly the most enduring science fiction franchise to ever do so. Premiering with the original series in 1966, viewers have swept away to strange new worlds and new civilisations as well as new cultural and technological ideas. While lagging behind the 1963 debut of the British series Doctor Who, it preceded the 1977 release of Star Wars by more than a decade and pushed the limits of television standards in the sixties. In 1979, the cast was reassembled for a motion picture continuation, followed by five more instalments with that cast of characters, four more television series and another seven motion pictures with varying casts and characters. For over fifty years, Star Trek has introduced us to changes in the way we view gender and racial equality as a society, explored the implications of becoming involved in the internal affairs of others (a thinly veiled criticism of American adventurism overseas to stem the spread of communism during the Cold War), and employed the use of alien races and cultures as metaphors to examine aspects of our own condition. Star Trek was among the first to feature an interracial kiss on television, and among the first to feature roles of significant professional authority for women and minorities. Despite all that, throughout its long history of promoting social change in America, one glaring omission from Star Trek lore has been the lack of any significant non-heterosexual characters. While the subject has been touched on in passing, most notably in Next Generation’s “The Host” in 1991 and Deep Space Nine’s “Rejoined” in 1995, both of which used the alien Trill’s trait of changing host bodies (and therefore genders) over time to explore the issue, the main characters in both stories remained firmly heterosexual thereafter, their orientation never to be explored or even questioned again. Next Generation also touched on the subject more metaphorically in the 1992 episode “The Outcast” through another alien race, the androgynous J’naii as represented by Melinda Culea’s character Soren, who in this case enjoyed a brief romance with Will Riker. The episode kept Riker’s orientation firmly heterosexual, however, while the conflict safely revolved around Soren’s self-identification as a female in a society that rejected gender identification altogether. More recently, sharp-eyed viewers of the 2016 feature Star Trek Beyond might have caught a brief glimpse of Hikaru Sulu (played by John Cho) enjoying shore leave with his unnamed husband and daughter, but in fifty years of existence, that is the extent of the entire Star Trek franchise’s efforts to depict any significant character as anything other than heterosexual. That is literally it. For a franchise that purports to “boldly go where no one has gone before”, Star Trek is remarkably behind the curve on this issue. Instead of asking if the franchise is ready, critics should be asking where the franchise has been all this time. The opportunity to create controversy, which I would argue is no bad thing, was decades ago. Carol and Susan already got married, Willow and Tara already kissed, and Will and Jack have already made every risqué gay reference that prime-time television will allow, plus a few others that managed to sneak by. Captain Jack Harkness, who became the first omnisexual character on television in 2005, should have premiered on Star Trek, not Doctor Who. Now is not the time to question whether Star Trek should be inclusive; now is the time to play catch up. Most commercial ventures have a natural desire to increase profits as much as possible. If the owners have good business sense, that usually means taking steps to offend as few paying customers as humanly possible because even the people who are wrong still have green money. Some media properties have an advantage in that regard because of not reaching the phenomenal success that Star Trek has, and not have become such a cultural touchstone. The gayness of Will & Grace was part of the concept before it was ever greenlit for a pilot, and Buffy the Vampire Slayer was lucky enough to air on the fledgeling WB, where network scrutiny had not yet reached the point where it would later doom Joss Whedon’s Firefly. ER was able to introduce the story as a major conflict with a character who wasn’t fully revealed as gay until her sixth year on the show, and even then, she was depicted as facing the threat (or reality) of extreme homophobia and discrimination at every turn. 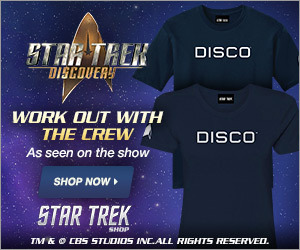 None of those advantages is available to Star Trek. The future depicted in our weekly programs and movies is one where discrimination and bigotry are dead, where racism and homophobia are but footnotes in history, and where all people are treated equally regardless of heritage, skin colour, or sexual orientation. 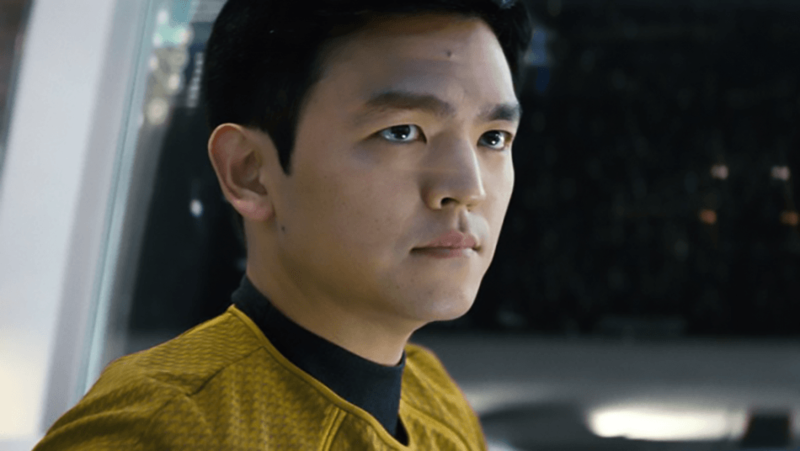 Star Trek has no choice but to depict an openly gay character as unremarkable in his or her gayness. By the time of Star Trek: Discovery, if everything we’ve learned about Gene Roddenberry’s future is accurate, being gay should simply be an accepted part of society, no more or less remarkable than my heterosexuality. All that leaves critics in a bind. There can be no easing into this. There can be no slow introduction, no period of getting to know the character before revealing that he or she is gay, no comfort zone. For those who have felt safe in the womb of a Star Trek that addresses gayness only in easily dismissed metaphor, briefly touched upon one week and then blessedly gone the next, the idea of an openly gay character suddenly standing next to Captain Kirk week after week can be a scary one. There can be no pretending that the future is not gay, that marriage will only ever involve a man and a woman, perhaps while one of them wears comfortingly silly forehead prosthetics or painted on spots. They must face the stark reality that gay men and gay women are attracted to and date other gay men and gay women week after week, and that they are not going anywhere no matter how much some people might wish the episode would just be over. Some people won’t like that; it’s practically inevitable. Some longtime fans will refuse to accept it. They’ll complain loudly about how the new series is destroying their childhood; they’ll lament the state of excessive tolerance in our society and how it will end the world as we know it; they’ll mock the gay lieutenant mercilessly and portray him as so disliked that the producers should give him an abrupt “Wesley Crusher” exit; and they’ll threaten to withhold their dollars and CBS All Access subscriptions until their intolerance of tolerance is tolerated and appeased. Some fans will argue that we shouldn’t risk creating a schism in the Star Trek community, that we shouldn’t risk conflict between the people who are willing to accept a gay character and the people who aren’t. I submit that the schism already exists—it’s just hiding safely in the shadows right now, safely nurtured and protected by the absence of any significant portrayals of gay characters in the Star Trek mythos to date. That situation shouldn’t be preserved. It should be dragged out into the light and exposed. It should be questioned, it should be examined, and it should ultimately be discarded. Nothing is accomplished by hiding it in the name of offending as few people as humanly possible. 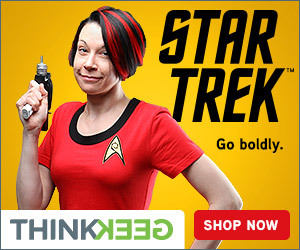 That may be the commercial way, but that is not the Star Trek way. That’s not what our fathers taught us. That’s not what Gene taught us. And that’s not the way we should move forward. I am the last person in the world to tell anyone “If you don’t like it, get out.” Those words are not worthy of Gene’s vision, either. They’re not worthy of our fifty years of history and tradition. They’re not worthy of us. Instead, I would encourage everyone to stay—stay and watch, even if you don’t like it. Stay and take the journey. Stay and get used to it. Because gay people aren’t going anywhere. And neither are we.